Though he said the policy will be “completely” canceling Obama’s policy, the president’s new actions will leave many of the former administration’s changes intact. Speaking from Miami on Friday, Trump announced new changes in U.S. policy towards Cuba, restricting commercial dealing with the country and limiting travel access for U.S. citizens, Washington Post reports. The policies reverses changes that Obama announced in 2014, while certain policies will remain intact. "I am canceling the last administration's completely one-sided deal with Cuba," Trump said. "They made a deal with a government that spread violence and instability in the region and nothing they got, think about it, nothing they got, they fought for everything and we just didn't fight hard enough, but now, those days are over." The policy changes will prohibit commercial dealings with Cuba's military, which controls many aspects of the country's economy, including the tourism sector, through civilian-run holding companies. White House aides told Washington Post that the reversals in policy were driven by Trump's belief that the previous administration's actions were bolstering the strength of the Cuban military. Obama policies that allow for unlimited "family" travel and money transfers between the two countries will be unchanged. 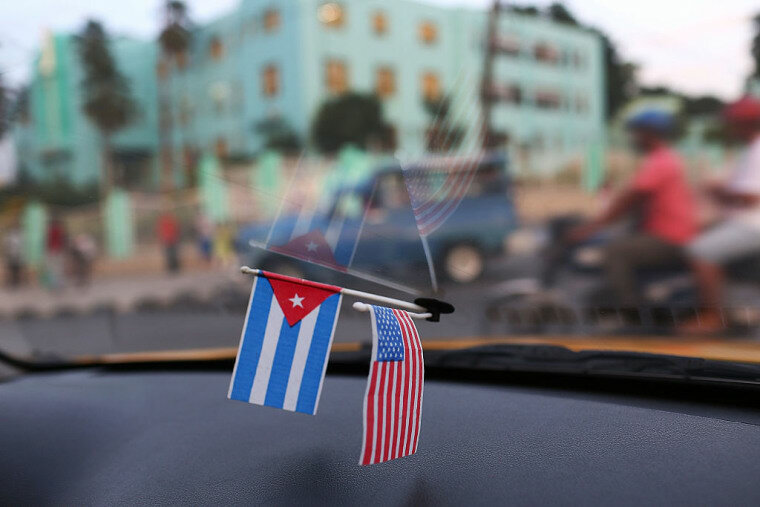 While the U.S. government doesn't explicitly restrict travel to Cuba, the embargo requires U.S. citizens to obtain a special license before spending money on the island. Obama's policies had allowed U.S. citizens to "self-declare" the purpose of their travel, loosening Americans's ability to travel to Cuba for educational, commercial, or “support for the Cuban people” purposes. Trump's new policy will leave those categories unchanged while limiting the broad category of “people to people” visits to Cuba and calling for stricter enforcement for Americans to be able to "authenticate" the reason for any visit.